Seeing double? New portraits of Princess Charlotte were released on Monday, and the images had us doing a double take. The 2-year-old royal looked just like her late grandmother, Princess Diana. In several of Diana’s childhood photos, the two shared the same sandy blonde hair, big brown eyes, and sweet smiles. This past year marked the 20th anniversary of Diana’s tragic death, but her legacy lives on in her family. 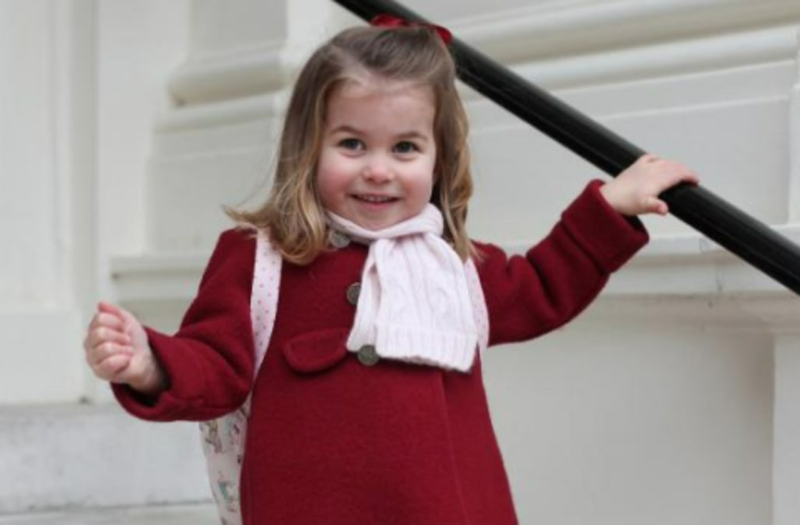 On Monday Charlotte attended her first day at the Willcocks Nursery School, which her mother, Kate Middleton, captured in the new portraits. The family, including Kate, Prince William, and Prince George, shared a group Christmas card in December as they await the impending arrival of William and Kate’s newest addition in April.